My name is Julie Richko Labate and I am an archaeologist (yes, like Indiana Jones) and anthropologist who now teaches English in Madrid. My life’s road map is like many: full of twists and turns. My background has given me the opportunity to grow and understand how language is central to the success of a culture and the most important way we learn and pass on our culture. Anthropology has sought and will continue to seek to discover the relationships between a cultural system and the language its people speak. Within Linguistic Anthropology, we can examine the links between language and culture, including how language relates to thought, social action, identity, and power relations. Understanding another language is to understand the culture it represents. And there are a lot of them! Currently, there are 7,000 actively-spoken languages in the world. Languages also vary according to the social contexts they are used in and the study of it focuses on the way language differs by class, geographical region, gender, ethnic group, and social setting. Some studies even cite rainfall levels and population densities as factors contributing to the diversity of a language. Globalization has also contributed to the acquisition of language. By learning a new language, travel and the movement of people is an easier feat. This comfort has afforded many with the increased chance of employment, learning about other cultures and enjoying international entertainment. This translates into skills with the ability to communicate effectively and professionally with the general public and colleagues in a professional setting. In this sense, language can be seen as a commodity, something that has intrinsic and ever-increasing value. Language is an intimate part of any cultural system. While many tools, like Google Translate, can assist in the language-learning process in the beginning stages, many students want to learn another language in order to understand the language’s culture. When learning a language, we are able to understand it’s culture and have a better understanding of their worldview. 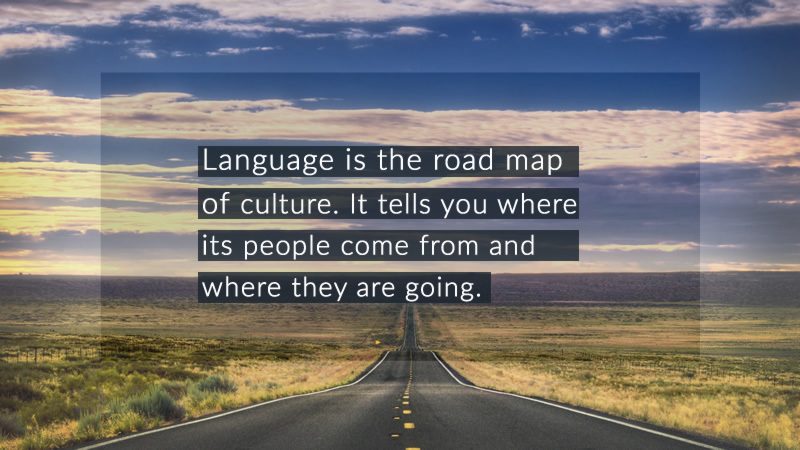 In this sense, learning a language, is a road map to the language’s culture.